Mermaids. . HD Wallpaper and background images in the Fantasy club tagged: fantasy creatures fantasy. Everything about this picture is beautiful; her hair, the scales on her tail, the nature around her, but most of all...the flowers on the tree! 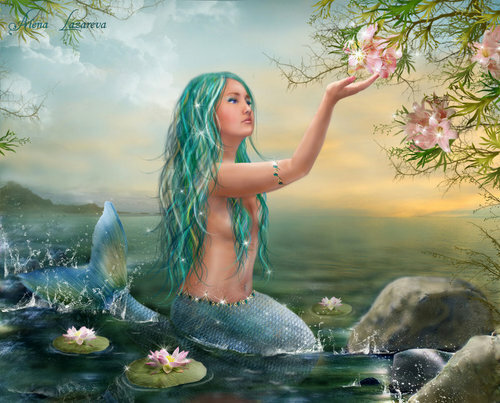 Thanks I randomly typed in Mermaids and they came up. I absoloutley love the way the flowers glisten on the tree.